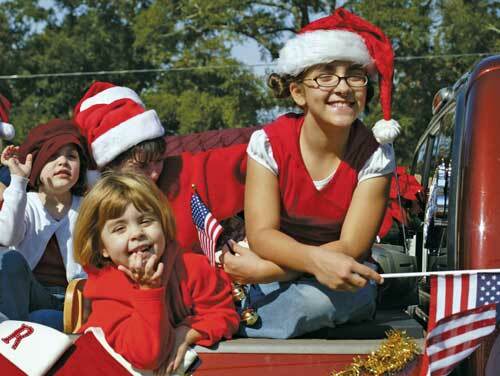 The 2014 Niceville Community Christmas parade will be held on Saturday, December 6, 2014 starting at 10 a.m. The parade ushers in the Christmas Holidays in Niceville and Valparaiso, and is one of the community’s most popular annual events. Folks begin early staking out a place to watch along the parade route. The 2014 parade theme is “Let’s Build a Snowman.” How do we build a snowman in Florida? No doubt parade participants will use plenty of Boggy creativity! During the parade, Toys for Tots will again be collecting new unwrapped toys. 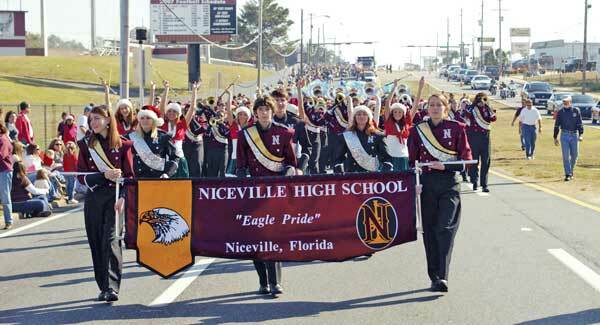 The Eagle Pride Marching Band leads the Niceville Christmas Parade with the joyous sounds of the season. If you are interested in participating in the December 6 Christmas Parade, you may download an entry form HERE. The Niceville Christmas Parade ushers in the Christmas Holidays in Niceville and Valparaiso, and is one of the community’s most popular annual events. Folks begin early staking out a place to watch along the parade route.